"You don't have any money you stupid Ginger!" This looks awful. 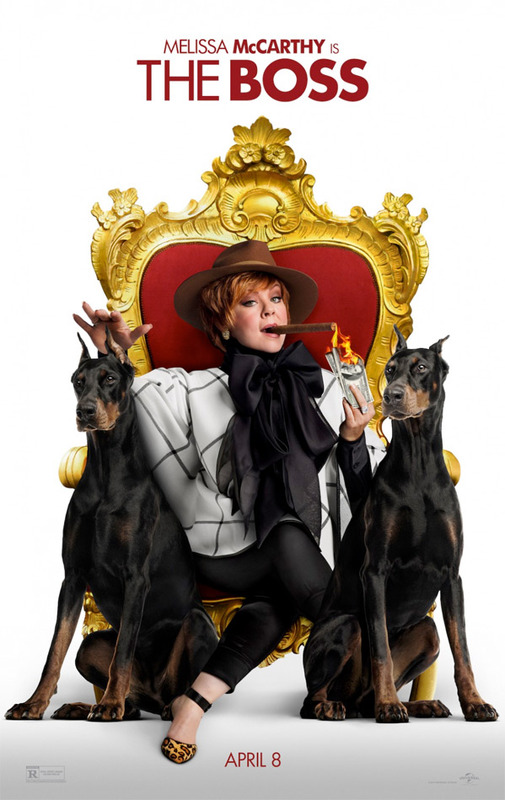 Universal has debuted another new red band trailer for the upcoming comedy The Boss, starring/written by Melissa McCarthy and directed by her husband Ben Falcone. The plot involves the richest woman in America, played by McCarthy, losing all of her money and everything she built after getting busted for insider trading. It gets really stupid when she comes up with an idea to start a brownie empire to reestablish herself. The final showdown in this trailer is scraping the bottom of the comedy barrel. Haven't we moved passed this? I guess not. Proceed with caution. See the first official green band trailer for The Boss here, to compare footage from these trailers. A titan of industry (McCarthy) is sent to prison after she's caught for insider trading. When she emerges ready to rebrand herself as America's latest sweetheart, not everyone she screwed over is so quick to forgive and forget. The Boss is a comedy directed by actor-turned-filmmaker Ben Falcone, who also directed the film Tammy previously. The screenplay was written by Ben Falcone, Steve Mallory and Melissa McCarthy. Universal will release Falcone's The Boss in theaters on April 8th, 2016 this spring. Anyone? Overexposed. McCarthy has got to be getting tired of raking in buckets of money with these "gems". She's the new Adam Sandler. Ouch. You think she's fallen that far? IMO she was never as funny as Sandler was back in the day. I agree with Higgens. At least Sandler "was" funny at some point. Yeah, seems like a great hangover movie. Just kinda staring at it. Not thinking. You forgot to start your sentence with a capital letter, three times. And you forgot to end your last sentence with a period. I will leave the rest up to the natives. More of the same old shtick for her I see. What was with those weird turtle necks?